Samsung announced the new Galaxy S5 smartphone which will be available in April 2014. One specification that sets it apart from the other smart devices on the market is the “ IP67 Rating “. The new Samsung phone is one of the most durable on the market, with superior protection against the elements – dirt, debris and water will have a much harder time damaging this device. For consumers, this means less worries when taking a phone to beach, poolside or on an outdoor adventure. Although it’s not recommended to taking it swimming or to use for underwater photography. Samsung is also making it easier to keep the phone “as is” without having to purchase a ruggedized case (e.g., Otterbox ) for protection from shocks, drops and the elements. Other features include a fingerprint scanner, heart rate sensor, and a toned-down TouchWiz UI on top of Android 4.4 KitKat operating system. The display remains the same as the previous generation S4, a 1080p Super AMOLED panel. In contrast to the iPhone, the Galaxy S5 has both a microSD slot (upgrade to 128GB of additional storage) and a removable 2,800mAh battery (which is an improvement over last year’s model). The CPU is a top-of-the-line 2.5GHz Snapdragon 800 processor with 2GB of RAM. Also include are the expected device-to-device communications with IR remote, NFC (near field communications) and a Bluetooth 4.0 BLE/ANT+. Streaming data, or if you would like to actually make a phone call, is supported with a 4G LTE connection with maximum of 150Mbps down/50Mbps up data rates. Most exciting for everyone who uses their smartphone for photos, movies and video-calls is that Samsung put some serious development effort into the camera technology for the Galaxy S5. The GS5 sports a 16-megapixel sensor for the main rear-facing camer. It features UHD (Ultra High Definition) recording capability and real-time HDR for both photos and video. There is a second 2.0-megapixel camera on the front for video chats. 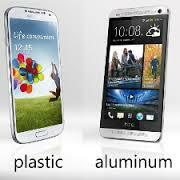 In addition to the new hardware, the GS5 software developers include a few new algorithms and applications. Similar to the Refocus Lens from Nokia, Samsung introduces a selective focus feature allowing the photographer to change the depth of field of the image after the photo has been taken. Cool! The “Shot & More” tools include ability to select a best photo out of a group taken with a variety of different settings automatically selected. No more worries about mode settings before taking the photo, just pick the best one afterwards. Prices have yet to be announced, but look for the Galaxy S5 to be offered by the carriers in the next few months.